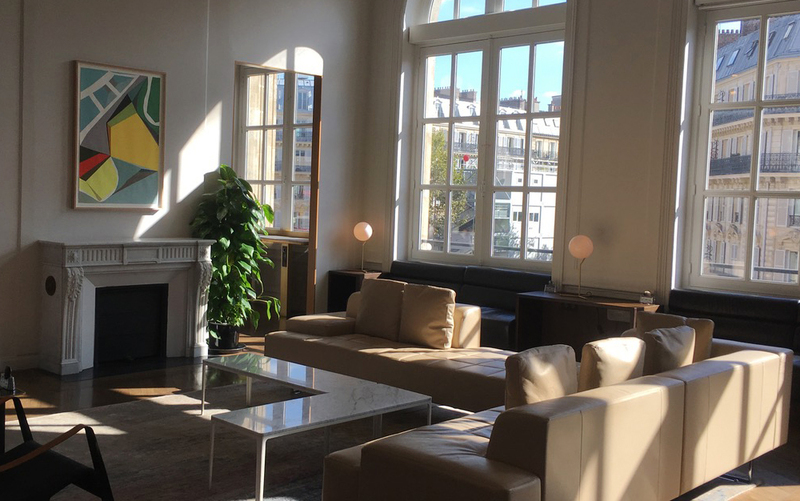 We are thrilled to have arranged an exhibit of Alexandra Roussopoulos’ artwork at Paris’ Gare du Nord Eurostar Business Lounge with The Hospital Club. Roussopoulos’ new series Transient will hang from September 15th through the year. 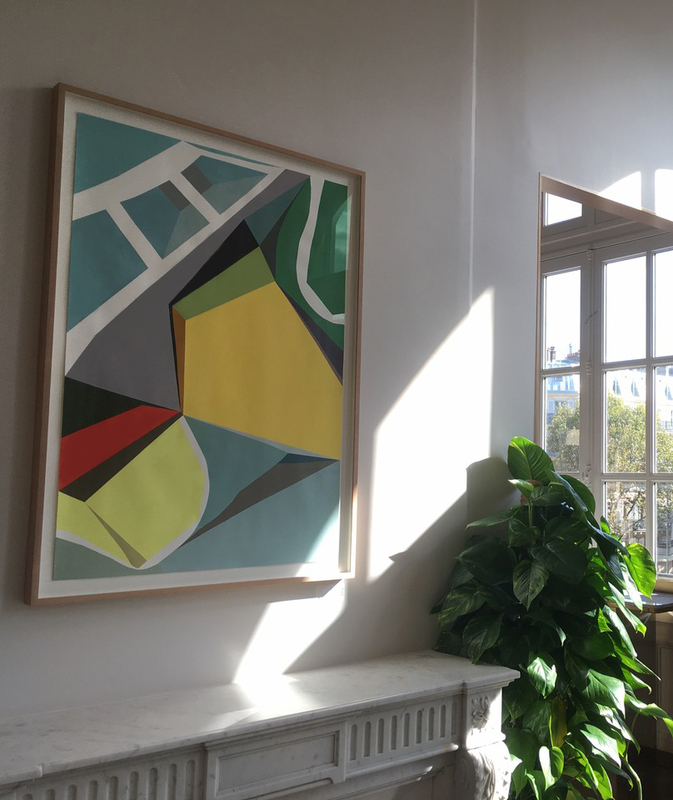 At once minimal, expansive and luminous, Roussopoulos’s pastel geometries are exuberant and refined meditations on psycho-geography, political space and personhood. For its femaleness and poetry, curator Brooks Adams has compared Roussopoulos’s work to Georgia O’Keefe’s American masterpieces. Of Swiss and Greek descent, Roussopoulos was raised in the creative and political nexus of the counterculture of Paris ’68, whose legacy of feminism, activism, creativity and community continues to inform her work. 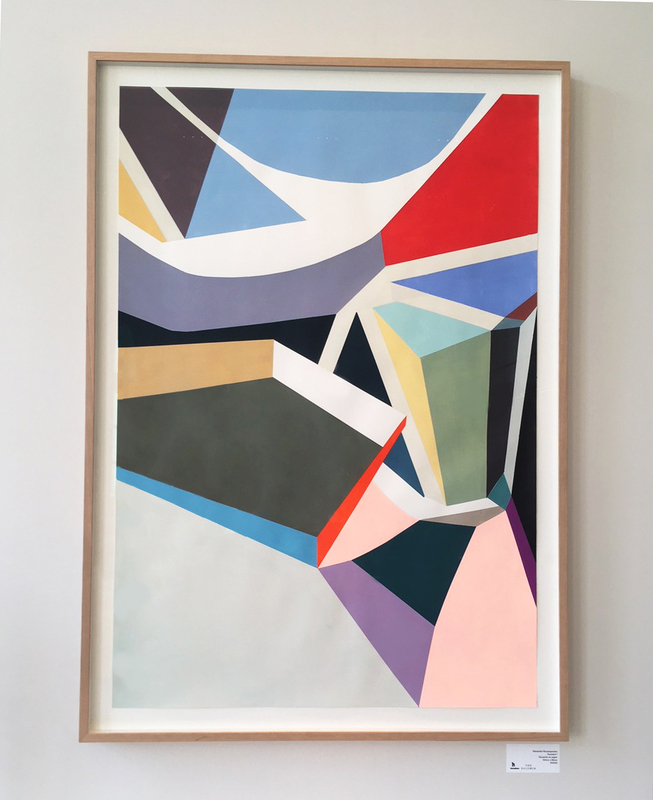 Through painting, she explores the relationship between shape, color and space. She has participated in numerous artist residencies in China, Greece, Ireland, and Slovenia. She exhibits in London, England with The Baldwin Gallery, at the Pifo Gallery in China, Beijing. 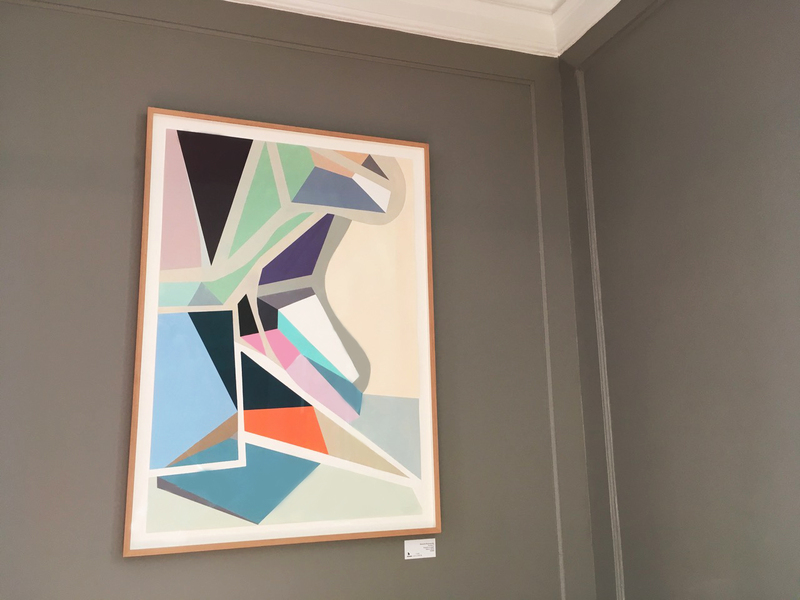 In France, she has exhibited extensively, especially in Paris (at the Galerie Pixi-Marie-Victoire Poliakoff, Galerie Scrawitch and recently appearing in the Météorites, entre ciel et terre exhibit at the Muséum National d’Histoire Naturelle in Paris). 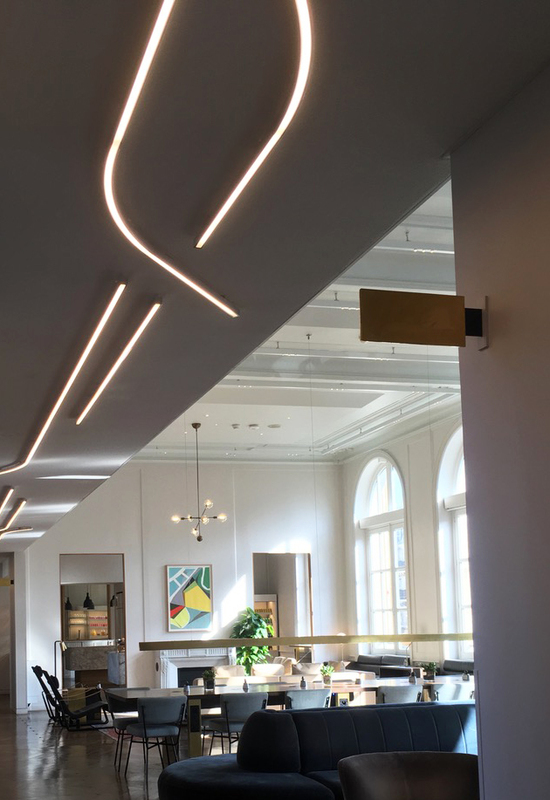 Solo and group exhibitions also include Neuchâtel, Cully, Grand-Lancy, Sion, Vevey in Switzerland, Beijing and Hangzhou in China and New York, USA.